AAUW volunteers assist El Morro students with their studies. 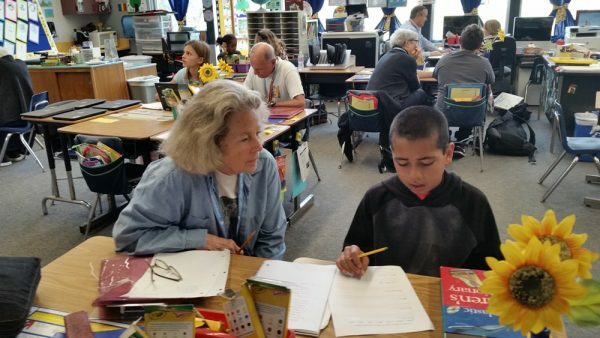 Volunteers are needed to provide one-on-one tutoring to students at El Morro Elementary in grades 2-5, who have been recommended to an after-school tutoring program by their teacher. The Learning Club program, sponsored by the American Association of University Women, Laguna Beach, operates two afternoons a week from January through May and is in its 19th year. There is now a waiting list of students in need of tutors, says organizer Peggy Thomas. “No experience necessary, just a desire to help a child,” she said. For information, contact Thomas at 949 499-1817or Kathy Willman 949 449-9941.